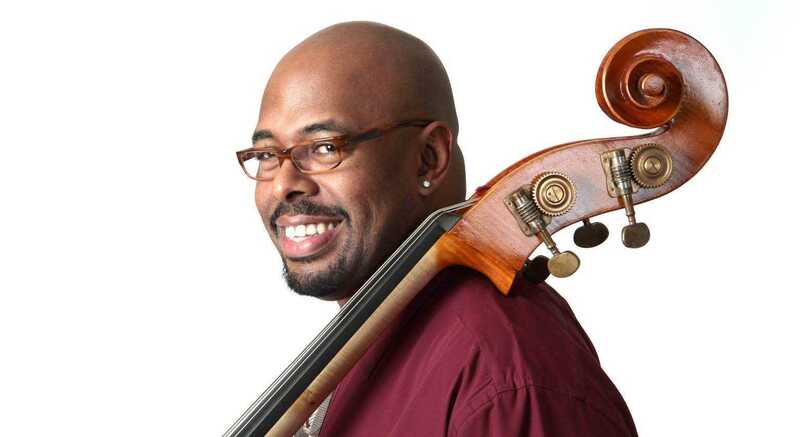 Legendary bass player Christian McBride does not need much of an introduction. A six-time Grammy-award winner who is widely regarded as one of the best bassists on the planet, McBride is a virtuoso and the most recorded musician of his generation. 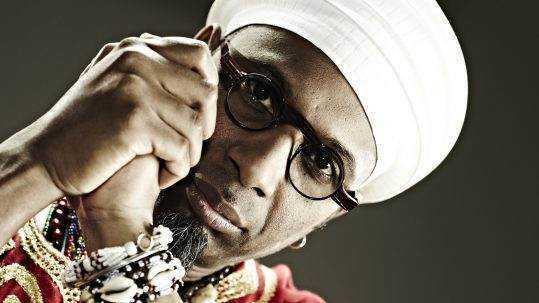 He has appeared on more than 300 recordings as a sideman to musicians such as McCoy Tyner and Chick Corea to Sting, Paul McCartney, and Diana Krall. 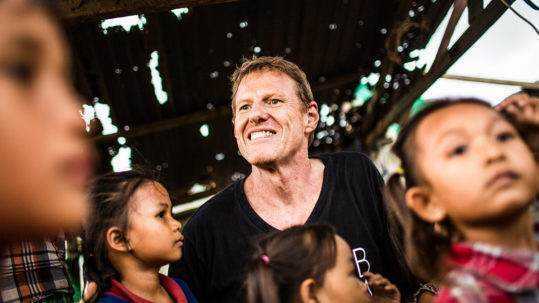 A man of many interests, whose constant passion for learning and passing on knowledge to the youngest generation, makes him not only an incredible role model to the youth but an exceptional human being. 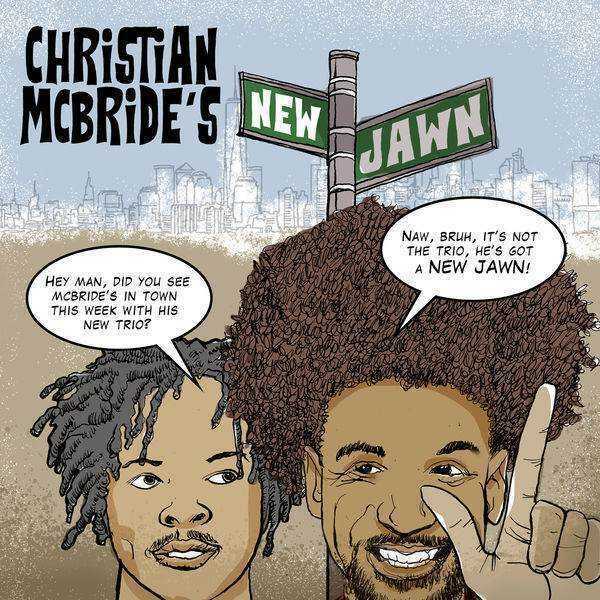 Christian McBride’s New Jawn —Christian McBride’s latest album with his thrilling new quartet—, will be released on October 26th by Mack Avenue Records. Victoria Adelaide: Your father and grand-uncle were great bass players. Growing up in such a musically rich family, did you feel a certain amount of pressure to perform at an extremely high level? 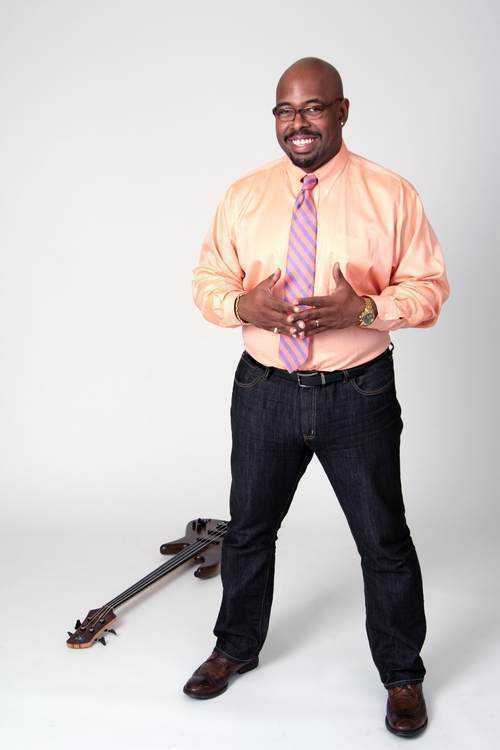 Christian McBride: Fortunately, I was not pressured by any members of my family. My mother was supportive of anything I wanted to do. I think when you are a child, your aspirations change daily. One day I wanted to be a football player, then another I wanted to be a musician, a police officer, or an athlete. Whatever I wanted to do, my parents—particularly my mother—were supportive. When I decided I wanted to be a musician, that’s because they let me take my time to discover that for myself. VA: Who inspired you the most in your youth? CM: There hasn’t been just one; there have been so many. When I was 12 years old, I met a young piano player named Joey DeFrancesco. We played in a youth ensemble together and he was not just one of my good friends but he was also a great inspiration to me. Joey was a boy wonder; he was playing professionally around Philadelphia by the time he was nine years old. He was a popular kid superstar in Philadelphia. Then I met a man named Robert Landham. He was a local saxophone player. For all of the great teachers I had in Philadelphia, I would have to say Robert was the first big brother/mentor I had. I would go to his house to practice and he would show me all these different theories, like lines, things like that. I really learned a lot spending time with him. Joey was more of a Jimmy Smith, an organ guy. Most of his listening was based on organ playing. That was great but that didn’t really help my development because many organ players didn’t use bass players. However, when I started spending time with Robert, I noticed he was listening to a lot of Wayne Shorter, McCoy Tyner, Woody Shaw, Bobby Hutcherson, Coltrane, and Miles Davis—a lot of the great modern jazz that I never really had a chance to listen to in school. I learned a lot about that music style from Robert. Robert was someone I consider one of my greatest teachers. Photo by R. Andrew Lepley. VA: What do you think makes you so special and has led you to become so incredibly successful? CM: Well, first, I don’t think I’m special. (smiles) And, second, I’d rather say I have achieved a certain level of credibility than success. You can be successful and not be very skilled or very good at what you do—especially in America. (laughs) There are many successful people who aren’t necessarily talented or good at anything other than being able to work on people’s brains and minds. It’s like the whole celebrity thing. However, credibility is something I like to think I’ve achieved. I think any musician that calls me, knows they’re going to get someone who respects their music, who wants to do the best job he can do, and who is going to be open-minded to be able to do whatever needs to be done to make that music sound good. So, I think credibility is the most important to me. It’s almost like being an actor; the greatest actors are those who can go from a dramatic role to a comedy role, to a romantic role—they can do everything. I think great musicians should be able to do the same thing. 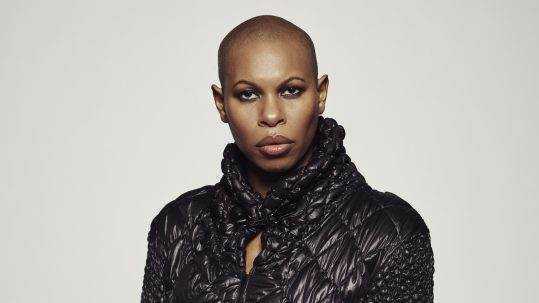 VA: Being musically as versatile as you are, how did you manage to keep your style and have your own sound? CM: I think when I was a teenager, it was important for me to keep practicing my skills in the different styles of music, mostly because I liked all styles of music. If there was a style of music I wasn’t particularly drawn to, I would try to learn it anyway because there was a practical thought I had: the more styles of music I can play, the more opportunities I will have to work. The more opportunities I have to work, the more experience and credibility I’ll gain and, frankly, I’ll be able to pay my rent. (laughs) I think liking, respecting all styles of music, and being willing to learn something about all of them to the point where any musician from any genre would call me, was the most important, and still is, to me. There is obviously music that I like. There’s a certain home base, like music that I love to listen to and music that I like to play; that sort of groove-based music—things that come from bebop and post-bop jazz like Art Blakey and The Jazz Messengers, Horace Silver, Cannonball Adderley, things like that. I also love Miles Davis and John Coltrane—all periods of their career. But my bone marrow is the music of James Brown. So, for me, there’s some thread that goes between, let’s say, James Brown, Count Basie, Miles Davis, Dolly Parton, Mahalia Jackson, and Frank Sinatra. I don’t know what it is, be it the dance groove, or the melody, there’s some emotion in all of that music that is a thread for me. I think of all music as one language with all of these different inflections. There are only 12 notes on a Western scale. If everyone uses those same 12 notes, how much different can this music actually be? VA: You mentioned James Brown, with whom you played; what did he represent to you? CM: He will forever be the king! There is American music before James Brown and there is American music after James Brown. You can say The Beatles changed the landscape, but The Beatles weren’t American. James Brown was American and I think dance music was forever changed after his influence. Anything that is remotely funky and anything that has any sort of remote attitude and confidence all point to James Brown. VA: Which artist would you like to collaborate with in the future that you have not worked with yet? CM: I hope she does! VA: Giving back is important to you. Can you tell us a bit about Jazz House Kids, the organization you manage with your wife, vocalist Melissa Walker? CM: Well, I think my wife and I are a good one-two combination when it comes to being able to train young musicians. I think it’s my job as a professional musician to give younger musicians an opportunity, like Bobby Watson, Freddie Hubbard, and Joe Henderson did for me, and many other musicians, when I first moved to New York. Before young musicians can get to that professional level, they need training. Through Jazz House Kids, we give these young musicians an opportunity to get some training. They can play in many different large and small ensembles and receive private lessons. We have a summer camp, and it really has done some great things in our community here in New Jersey where we live. However, I owe all of that to Melissa—concerning managing the day-to-day work to make that organization go, I have to give that all to Melissa. She grooms them for me, in a way, because when they graduate from high school, go on to college, and receive further training, then, at some point maybe, I will hire them for a gig. Then, the cycle is complete. That cycle continues when they become accomplished enough to have bands of their own. The cycle cannot be broken. VA: Regarding your music: What is your current status as we speak? CM: I just completed a two-week tour of Europe with my quartet, New Jawn. We have a new CD coming out in October, so that’s probably the next significant thing on the calendar for me. Between now and the rest of the year, I have a number of different projects, but I’ll mostly be performing and touring with my quartet. CM: (Laughs) Something like that! For my radio show, The Lowdown, I actually don’t have a lot of episodes that I recorded over the last nine years. I think I’ve only been able to record maybe between 30 and 35 shows. I don’t get a chance to do that a lot, but the show has managed to stay somewhat popular, even though I don’t have many episodes. I’m planning some time where I can record some more shows. It’s a lot of fun; I get to have all of my friends, who also happen to be some of the world’s greatest musicians, on the show. We have a talk, we play, and there is a little bit of comedy—all kinds of stuff. Those shows will be available on demand very soon, so you’ll be able to hear them. VA: What would be your advice to a young bassist who wants to be successful? CM: Be the best musician you can possibly be. Remember that to be the best musician you can be is a reflection of who you are as a person. So, if you’re a flexible person, if you’re an empathetic person, if you’re a person who is willing to be selfless and do what needs to be done to make the music sound good, that’s the most important thing. Just be the best musician / person you can possibly be. VA: A few months ago, I interviewed Steve Turre and we were talking about Buddhism and how being a Buddhist impacted his music. 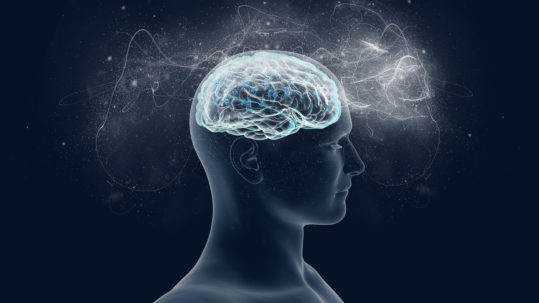 Are you into self-development, spirituality, or things like that? CM: Well, I also practice Buddhism. (smiles) My wife, Melissa, has been practicing Nichiren Buddhism for 30 years now. I’ve gone to a few meetings with her, and I always feel close to her when I go to those meetings. Also, I think a person who was always so deeply inspirational to me is Wayne Shorter. For me, just hearing Wayne Shorter talk is almost the same as hearing him play. As a musician, when you hear him play, you get to analyze what notes are being played, the chords, just the way he composes and the way he improvises. But to hear him speak is just as musical, informative, and inspiring. Every time I hear Wayne speak, I want to go out and do something good or be a better version of myself. VA: What is your creative process when you write a new piece? CM: I don’t have one that I believe is that good. I’ve been working hard at trying to find a more consistent process, if you will. When I write music, I’m usually sitting at the piano. It’s almost like I’m fishing. I’m just sitting there at the dock with my line waiting for a fish to bite. I think that’s what happens when I’m sitting at the piano; I’m just noodling around, waiting for a melody to come, a bass line, a couple of chord changes, and then I think, “Oh there’s something there; finally something came.” Then I try to work on it. I also have discovered that I do my best writing when I’m running out of time. When there’s a time crunch and there’s some pressure involved, I don’t have time to second-guess myself so I have to write. 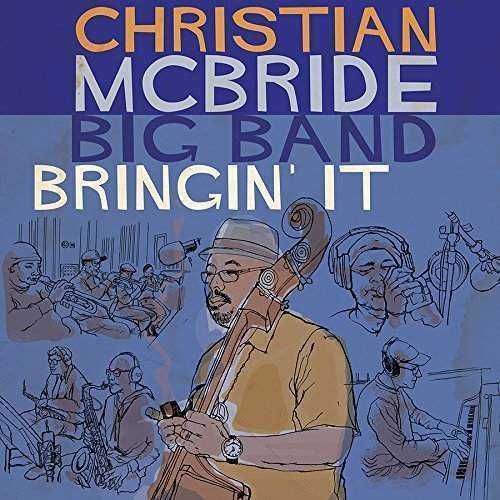 Christian McBride Big Band Bringin’ It | Grammy Award Winner for Best Large Jazz Ensemble.